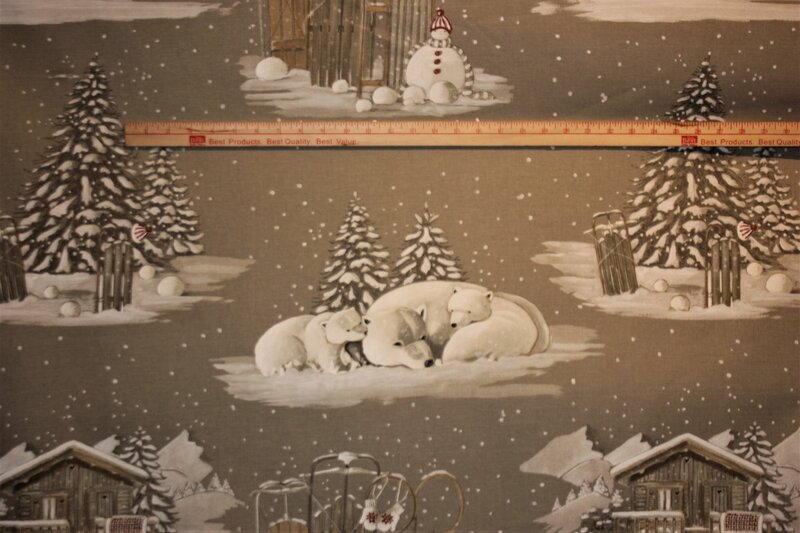 This French winter-themed drapery fabric features a winter wonderland! Beautiful for draperies pillows or any project. The image shows half the width of the fabric. 100% cotton. 108" wide. Design by Olivier Thevenon - Paris. Half yard minimum.